Have you ever known someone who takes the time to clean their house top to bottom before their cleaning service arrives? The idea alone probably calls to mind the morals of a ‘50s housewife, someone too concerned with appearances to let a soul into their home unless it’s perfectly polished and spotless. Let’s face it, cleaning before a housekeeper comes over sounds like a silly idea. Most of us hire cleaning services to handle the house cleaning, so why on earth would anyone take the time to clean ahead of their cleaning services? However, the truth is that ridiculous-sounding idea actually holds some impressive benefits. Toss the notions of silliness aside because cleaning up before your house cleaning service can actually be a really great idea. One of the biggest reasons to clean up before your cleaning service arrives is that of time efficiency. Generally, cleaning services are paid by the hour. If a cleaner has to spend the first hour or two picking up clutter and washing dishes, that long list of deep-cleaning chores will barely be dented by the end of their allotted time. If your house is already tidy and everything is put away, the house cleaners can spend their time doing a deep-clean of your carpets or dusting the baseboards. You’re paying for a thorough clean, and you might miss out if your cleaners have to spend their time cleaning up your child’s thousand-piece Lego set. Cleaning before the house cleaners come is also a good way to care for fragile items or antiques in your home. If you have artwork, sculptures, or other delicate items around your house, you might not want a housekeeper handling those things. Even if the cleaning service’s insurance will cover the cost of any damage done, it can be better to just not risk those irreplaceable items. This is also the time to clean anything that your agreement with the cleaning service doesn’t cover. 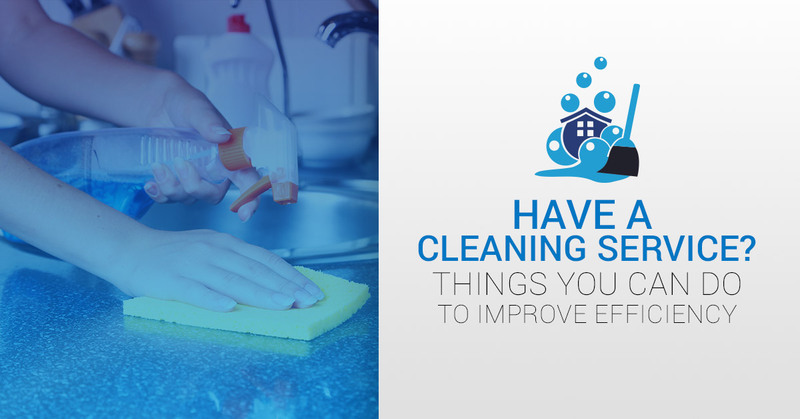 For instance, many people don’t want to pay for professional cleaning services to handle their dirty dishes. If there are things you’d rather your house cleaners didn’t do, use their impending arrival as the push you need to get those things cleaned yourself. Clutter — As we mentioned above, tidying up clutter should be step one so your cleaner doesn’t have to spend their time (and your money) doing something that your kids should be doing anyway. Before the housekeeper comes, send everyone in the house room by room to tidy up their things. Kitchen mess — If you want your house cleaners to deep clean the kitchen, remove obstacles from their path. Load the dishwasher, clear off counters, and clear out anything in the sink or on the stove. Move obstacles — This is one many don’t think about. If you want your home cleaning service to steam clean the carpets, you’ll want to consider moving area rugs or furniture. A solo cleaner could handle smaller pieces of furniture, but they’re probably not equipped to handle a full sectional on their own. Fragile items — Keepsakes, artwork, antique books, older photographs, and other delicate items are irreplaceable. You know how you want those items cleaned, so save everyone the heartache and handle those yourself. If they don’t have to deal with finicky little details, your house cleaner will have more time to dedicate to the major living areas. Bathroom mess — Just like in the kitchen, you’ll want to remove obstacles and tidy up in the bathrooms. Make sure toiletries get put away and towels are hung up or tossed in the laundry. That will make it easier for the cleaner to get through a thorough scrub-down of the toilet, sink, floor, and tub/shower. 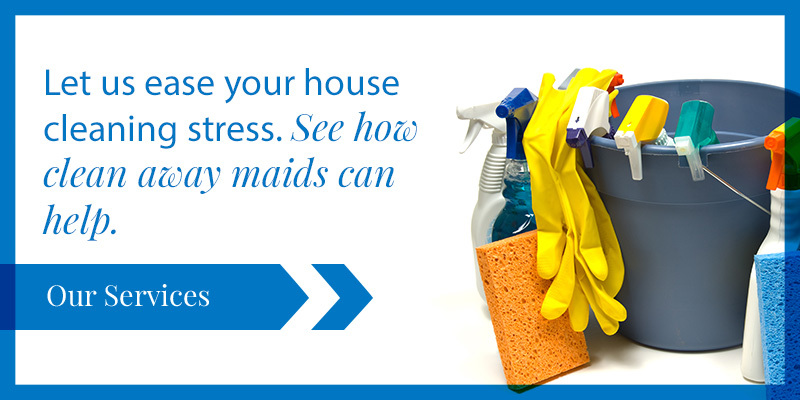 If you’re ready to hire cleaning services in Greensboro or surrounding areas, contact Clean Away Maids today!